Thanks to Mrs. Crumbs @ Crumbs in the Minivan for sending this my way. 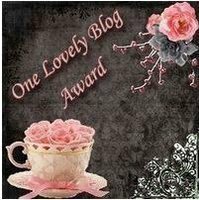 So, here are the rules of this blog award. Well, it’s not 15…it’s only 11. Pretty good, I think! So check them all out…as they are “lovely”!